I love cake pops! They are so delicious. They can be a little difficult to make but the end result is so yummy! Sweet & Salty Brownie Cake Pops – Mother Thyme Brownies combine with a sweet and salty, crunchy flavor for a dessert full of texture, color, and flavors – plus Dove chocolate. Nutella Crunch Cake Balls – Butterlust Nutella is great for all ages, and these crunch cake balls have a homemade frosting mixture. Their crunchy texture will be loved by everyone in your family! 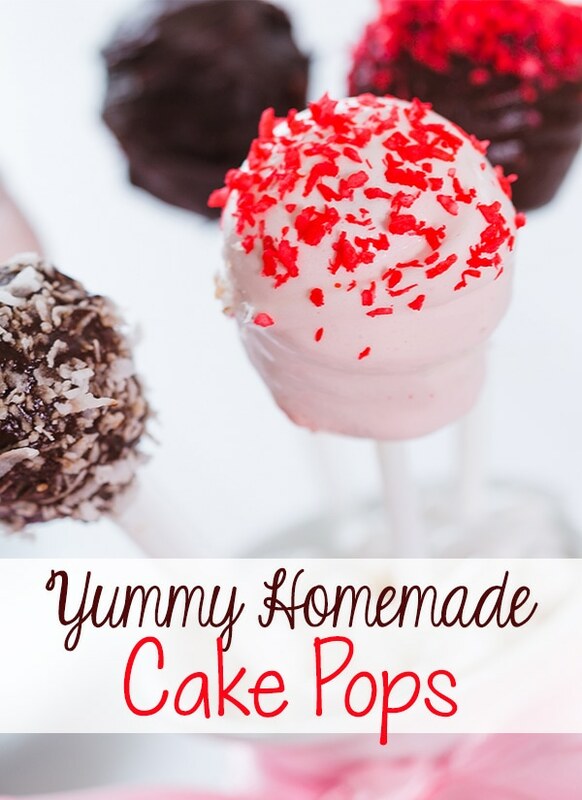 Ice Cream Cone Cake Pops – Moms & Munchkins This spin on cake pops involves an ice cream cone as its “stand.” These treats are fantastic for a low-mess birthday party food; and don’t melt like regular ice cream! How To Make Elephant Cake Pops – Juggling Act Mama Cute for baby showers or kids parties, these elephant cake pops are a soft blue-gray color, and work with just about any color palette. They’re an easy craft to show off your creative side! Candy Apple Cake Pops – Season Of Sweets Fall and Halloween inspired, these candy apple cake pops are coated with a homemade apple syrup for an autumn dessert. Maple Bacon Cake Pops – Cookie Dough And Oven Mitt Who can resist bacon-topped anything? Try these irresistible maple bacon cake pops. A sweet homemade maple syrup cake is topped with crunchy and salty bacon, for a sweet and salty combination great for year round. Sunflower Brownie Pops – Munchkin Munchies These sunflower brownie pops are decorative, and offer a bright, festive feel. Their bright yellow color is enticing for summer, and the M&M’s offer a more textured chocolate. Mint Oreo Truffles – The Gracious Wife Inspired by St. Patrick’s Day, these mint Oreo truffles are only made with four ingredients. Their soft mint color are perfect for a quick family dessert or festive holiday dish. Pink Lemonade Cake Pops – Living Rich With Coupons With a soft pink color on the inside, these pink lemonade cake pops are ready for summer. Their fun colors and flavors are perfect for any occasion! Red, White & Blue Cake Balls – About Food Patriotic, these red, white, and blue cake balls are easier to make than they look. Their triple layer makes them great for events like Memorial Day or the Fourth of July.